Irritable bowel syndrome (IBS), also known as spastic colon, is a symptom-based diagnosis characterized by chronic abdominal pain, discomfort, alteration of bowel habits and bloating. It is a medical condition which primarily affects the large intestine, exhibiting symptoms like constipation, diarrhoea, cramping and bloating. All these symptoms makes one to feel uncomfortable and sometimes, embarrassed. IBS has no known organic cause. 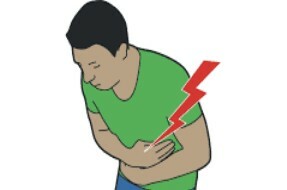 The onset of IBS is more likely to occur after an infection (Post-infectious IBS-PI), or after a stressful life event. Although no cure for IBS is known till date, treatments that can easily relief its symptoms does exist. Such treatments includes, medication, dietary adjustments, and psychological interventions. Minimizing the effect of these IBS symptoms is key. Just follow these simple tips to relief the symptoms associated with IBS. keep a check on the types of foods that increases the symptoms of you IBS. After noticing the exact ones, then it is proper you exclude them from your diet. Common foods that flares up IBS symptoms includes coffee, bread, dairy, fatty foods and spicy foods. Fibre is great for maintaining out gut health, which also helps in controlling IBS symptoms. Taking a healthy fibre supplement alongside with your diet is a good way of relieving IBS symptoms. If you suffer from constant diarrhoea, an over-the-counter anti-diarrhoea medication is advised. These are not recommended as a daily supplement, and you should consult your doctor if the problem persists. Another way of relieving IBS symptoms is by adding some plain yogurt to your diet. Fresh, natural yogurt is perfect for maintaining the gut health to be up to standard. You can also include a probiotic supplement, to supress low-grade inflammation and enhance your normal immune function. Haemorrhoid is a common side effect of IBS, so it is advised to use a pain relieving medication to help minimize irritation and pain. Ensure you consult your doctor when choosing the pain reliever that is best for you.